A two week session includes a ten-session creative workshop, studio space, lectures, four-star hotel accomodations with private room with bath, full breakfast and a four-course dinner. To enroll in the Assisi 2019 program please email or mail a printout of your filled out application form. Your application must be accompanied by a deposit or full payment. Early enrollment prices available until April 15, 2019. A PDF reader is required to view PDF files. Get Foxit PDF by clicking here. Tuition includes: Private room with bath in an air-conditioned four-star hotel, breakfast, four-course dinner, instruction, studio space, lectures, and all gratuities. 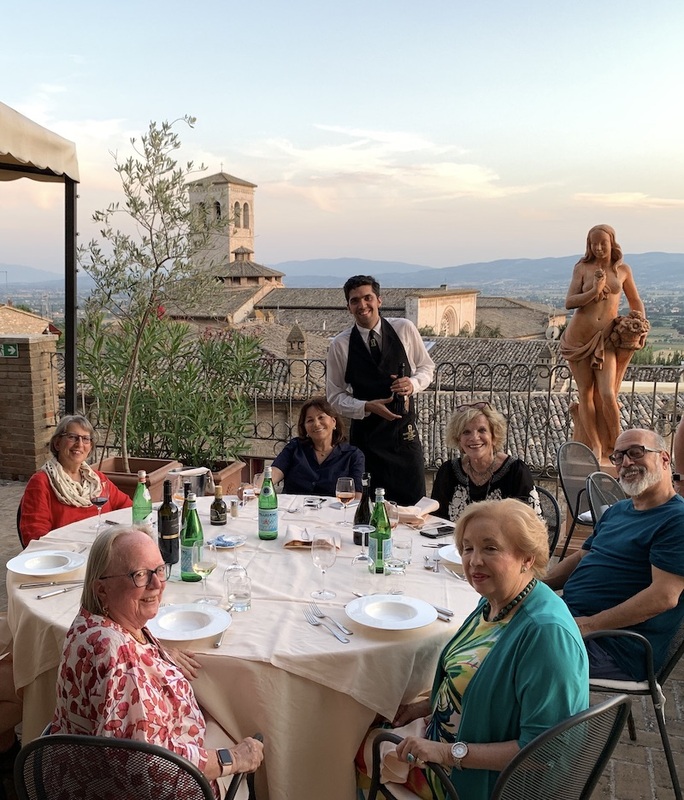 Not Included in Tuition: Airfare, transportation to and from Assisi, field trips, outdoor painting excursion fees, lab (model) fee, liquor, wine, laundry, lunch, and meals outside the hotel. Non-participants: July 12 to August 8, $225 per day in a double room. Participants who arrive early or stay a few extra days, $225 per day. If a spouse or guest joins a participant before July 12 or after August 8, $400 a day for both. All prices subject to minor changes based on rate of exchange. If paying by credit card, click on the PayPal button below, then the credit card payment button and proceed to the secure site to process your payment. You do not need to be a paypal member to use your credit card. If paying by check please make payable to: Art Workshop International. Reservations are limited and will be accepted when accompanied by a deposit of $1000. Full refund before May 12, half refund before June 12. Full tuition due by June 12. If any questions please contact Lynn Gernert at 888-318-6163 or info@artworkshopintl.com. NO REFUNDS FOR ANY REASON AFTER JUNE 12, 2019. TRAVEL INSURANCE TO COVER ALL TRIP EXPENSES HIGHLY RECOMMENDED. 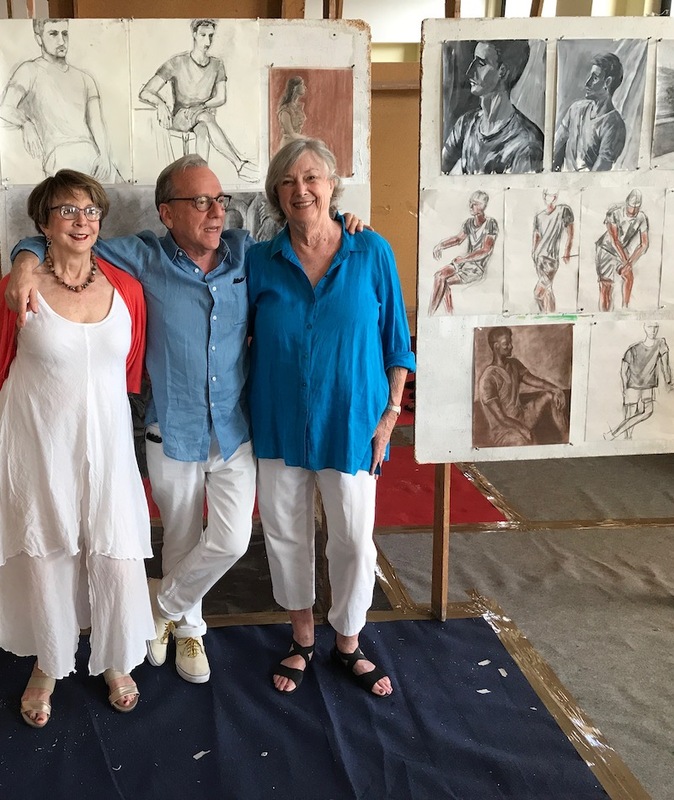 Visual artists in front their drawings at the open studio. Working on one of the terraces.